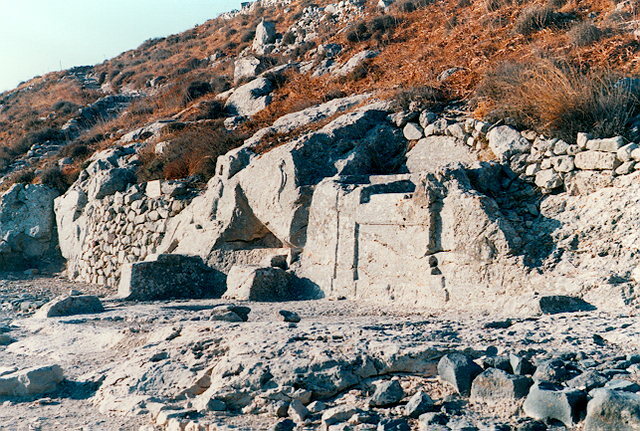 entirely hewn in the rock, was founded by Artemidoros of Perge. Engraved on the face of the rock are epigrams and inscriptions, as well as the symbols of the gods worshipped: an eagle for Zeus, a lion for Apollo, a dolphin for Poseidon. Also engraved is the portrait of the wreathed Artemidoros, the founder of the sanctuary. The whole structure is dated to the end of the 4th or the beginning of the 3rd century B.C.